The only thing that can make the Christmas season even more exciting is our M&S beauty advent calendar, filled with iconic products loved by beauty editors and customers alike. 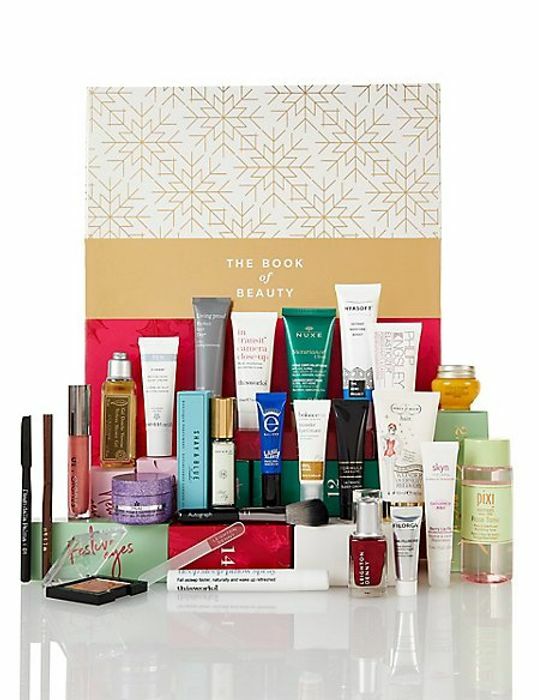 Open up The Book of Beauty and you’ll find 25 numbered boxes, each containing a therapeutic skincare product or a quality make-up product, perfect for use throughout the holiday season. Though each box is a surprise for the day, we’ll give you a hint at some of the incredible products inside, including the PRAI Ageless Throat and Décolletage Crème in limited edition sparkling packaging and the Philip Kingsley Pomegranate & Cassis Elasticizer. This Christmas, open up to the world of M&S Beauty. What do you think of this Marks & Spencer deal? got this last year,marvellous products,well worth the money,has been voted one of the best calenders to get from youtube videos.